Today’s twentysomethings have been labeled the “lost generation” for their presumed inability to identify and lead fulfilling lives, “kidults” for their alleged refusal to “grow up” and accept adult responsibilities, and the “least religious generation” for their purported disinterest in religion and spirituality. These characterizations are not only unflattering — they are wrong. 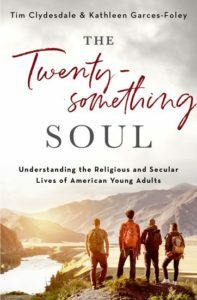 The Twentysomething Soul tells an optimistic story about American twentysomethings by introducing readers to the full spectrum of American young adults, many of whom live purposefully, responsibly, and reflectively. Some prioritize faith and involvement in a religious congregation. Others reject their childhood religion to explore alternatives and practice a personal spirituality. Still others sideline religion and spirituality until their lives get settled, or reject organized religion completely. 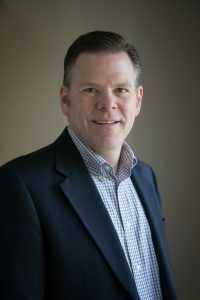 Drawing from interviews with more than 200 young adults, as well as national survey of 1,880 twentysomethings, Tim Clydesdale and Kathleen Garces-Foley seek to change the way we view contemporary young adults, giving an accurate and refreshing understanding of their religious, spiritual, and secular lives. I was born and reared in Philadelphia (PA), received my B.A. (1986) from Wheaton College (IL), and my M.A. (1991) & Ph.D. (1994) from Princeton University. From 1994-1996, I was assistant professor of sociology at Gordon College (MA), and since 1996, I have been a sociology professor at The College of New Jersey (Ewing, NJ).